Headshell which will allow most cartridges to be fitted. 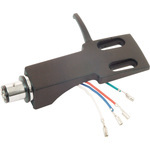 Designed for connecting the control unit to the main unit of dual CD players. 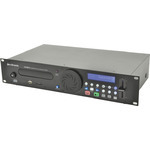 1U rack mountable CD player with USB and SD card inputs and a built in FM tuner. 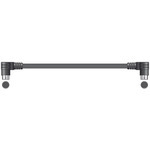 Supplied with a handheld IR control and a 3.5mm jack IR extender lead for remote operation. CD, USB or SD tracks can be accessed directly by track number or by track/folder navigation buttons. Output is via 2 RCA connectors or digitally via the optical output. FM radio reception can be set up by connecting an FM aerial to the rear panel antenna socket. 4 different sources in a single 19" rack housing makes this a flexible machine for background music installations. 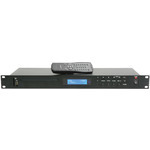 A rack-mountable digital media player with full DJ controls including reverse, scratch and loop functions. A front loading disc player is accompanied by a USB port and SD card slot for playback of compressed audio tracks. CD playback is protected by an anti-shock system and can be pitch-controlled via a dedicated slider. Easy track and folder search buttons allow fast access whilst a large backlit display gives comprehensive track information. A professional sound source for DJs, dance & fitness instructors and background music installations. Power consumption - 25W max. 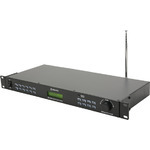 This unit features both a DAB and an FM tuner. Complete with auto tune and preset memory function, it is easy to select the required channel with the supplied IR remote control. The 1U 19� rack mountable design allows for easy installation.